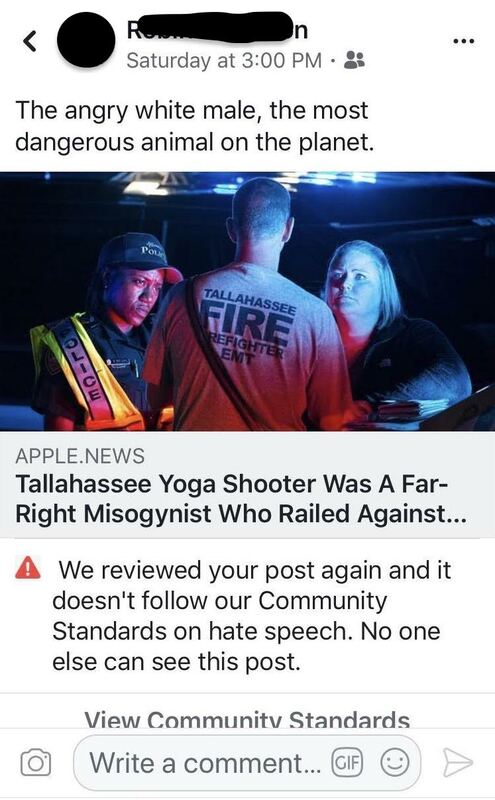 It hasn’t even been a month yet since a man targeted women at a yoga studio on a Friday evening on Nov 2nd, 2018, he murdered 2 women and injuring at least 5 others before killing himself. 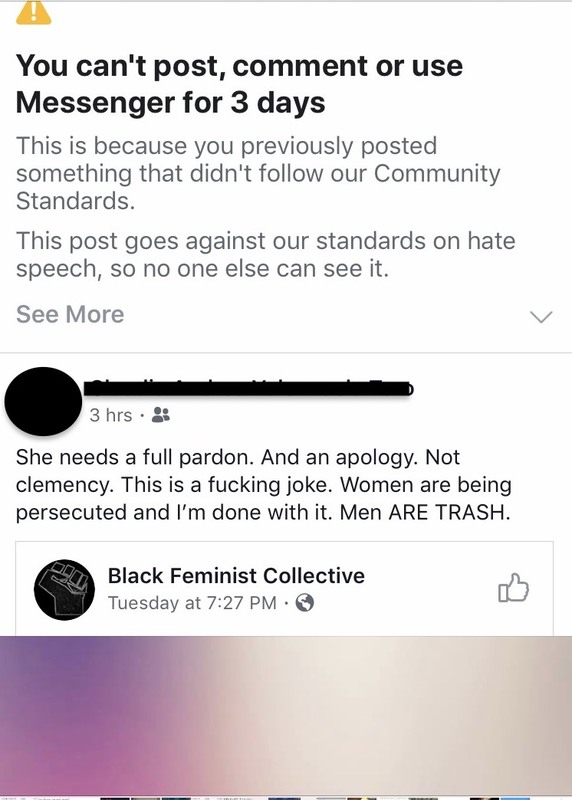 The man who opened fired that night was a self radicalized violent misogynist who specifically targeted women because he believed women needed to be killed. 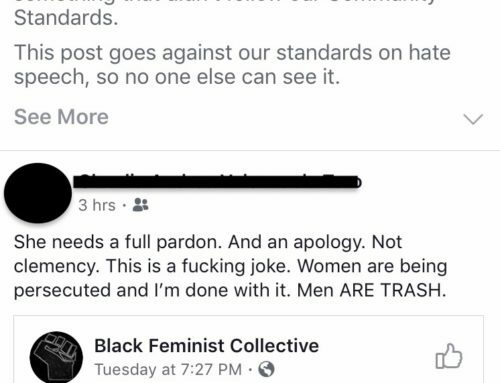 This violent misogyny is far from new, nor is this shooting targeting women the first of it’s type of motive. 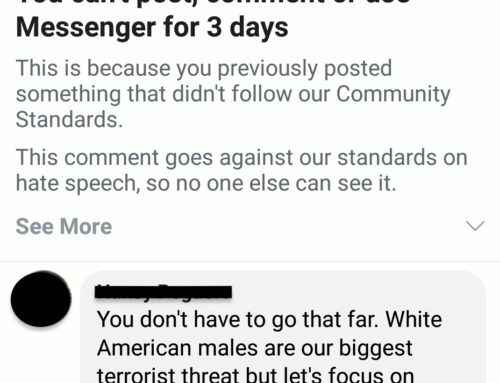 The truth is their is a rise of violent white men who are getting radicalized via the internet and much of that hatred is narrowed on women as well as immigrants, the “left”, etc. 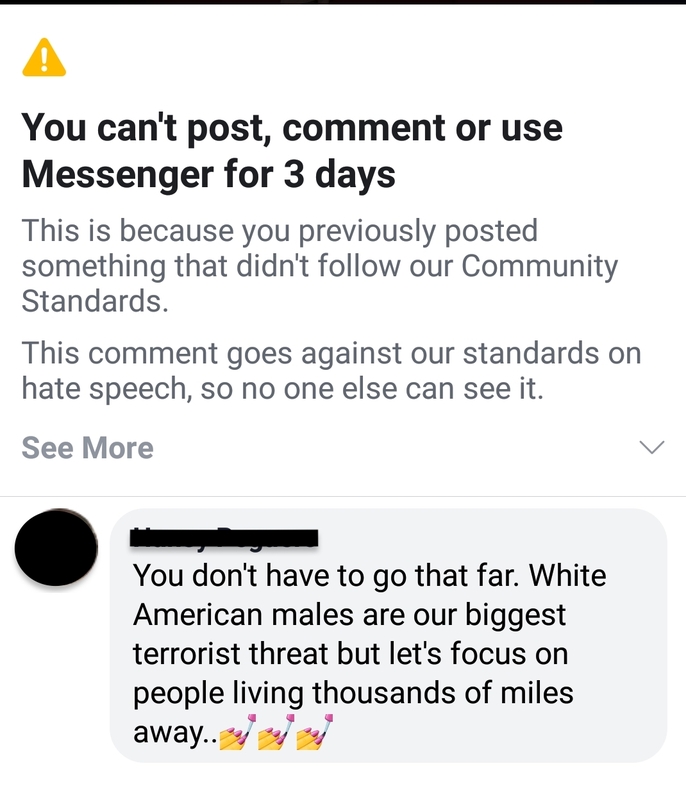 In fact, it is a documented fact that people in America are more at risk of being attacked by a domestic white terrorist than any type of foreign extremism. 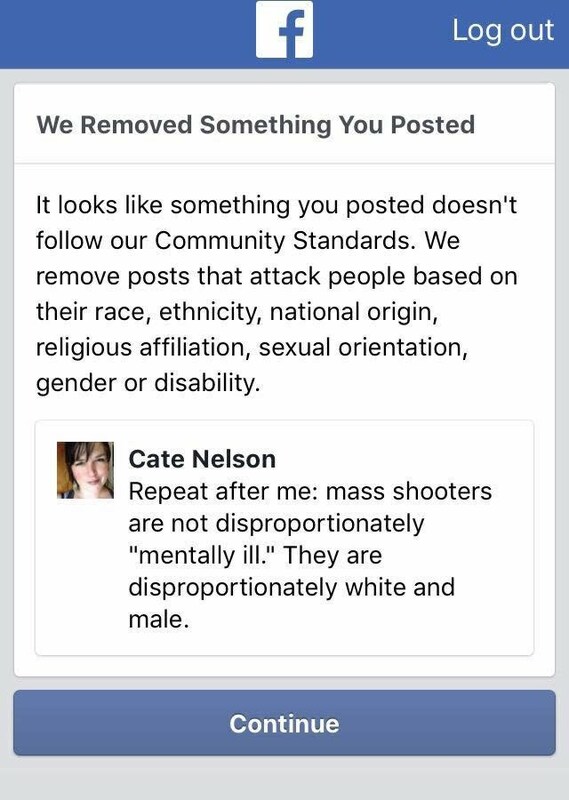 However, no matter what the facts are, Facebook has decided they rather protect the fragile white man who murdered 2 women because they were women rather than allow an article which justifiably describes the real threat in America, the angry white male. 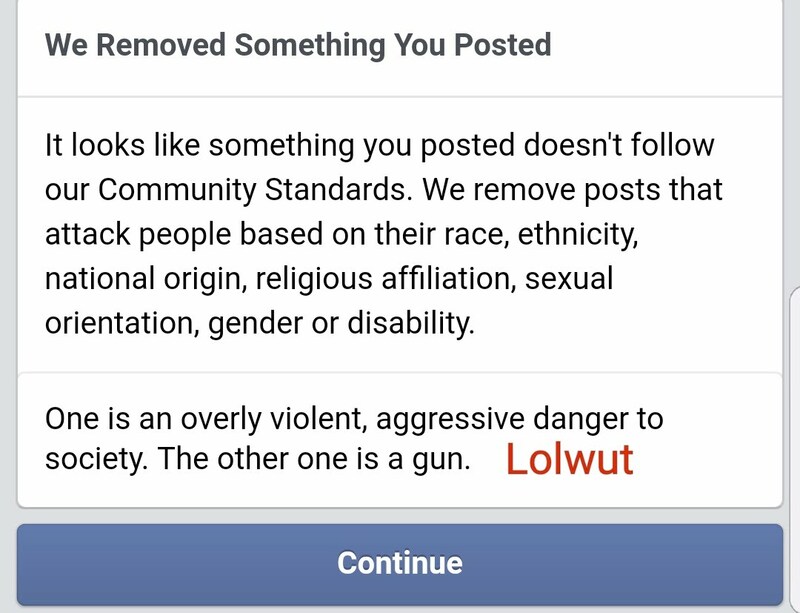 This is far from the first time Facebook has protected a mass shooting suspect on their platform. 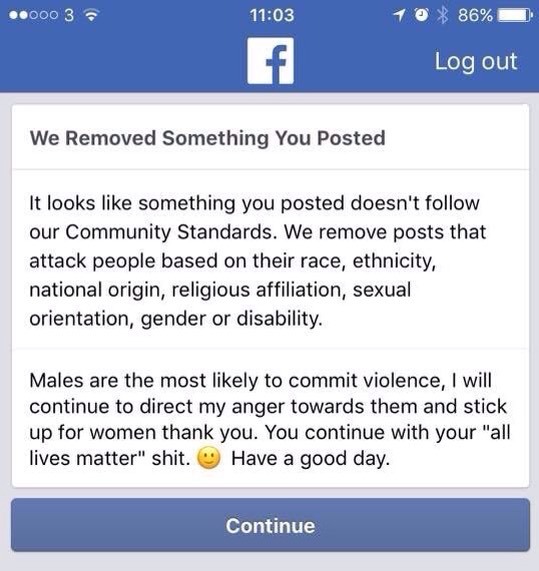 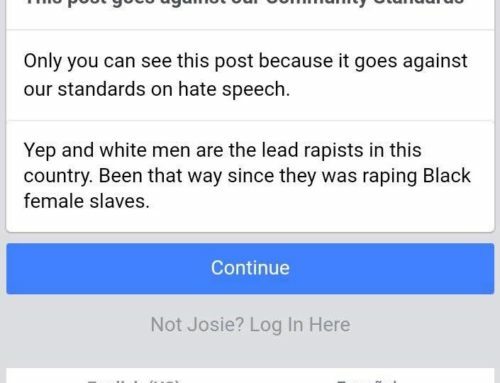 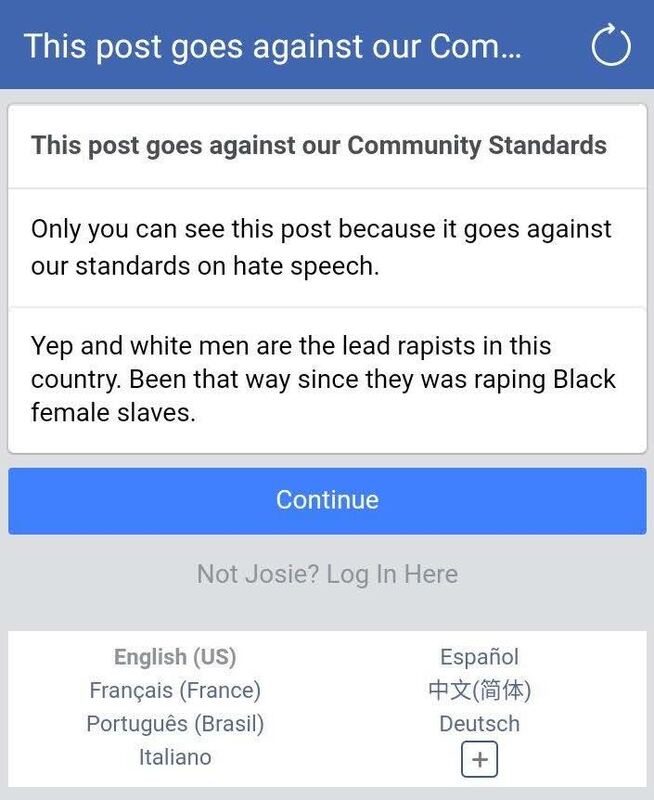 Facebook seems to have no problems removing any content which addresses the very real problem of male violence against women. 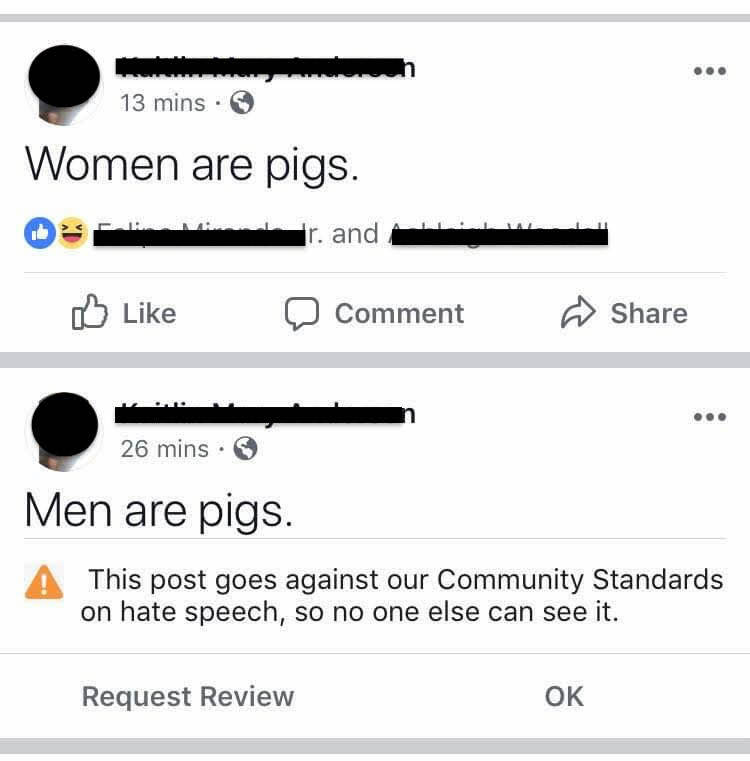 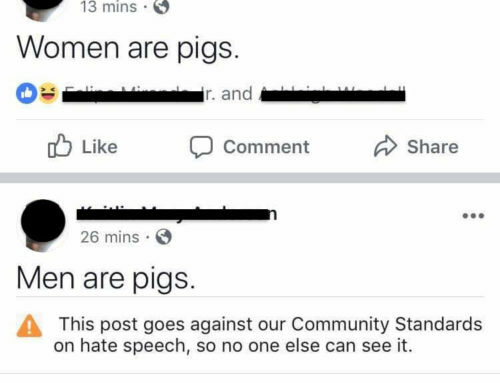 When FB consistently removes posts like these, it overwhelmingly suggests that FB supports violence against women and profits off of content which advocates men to hate women. 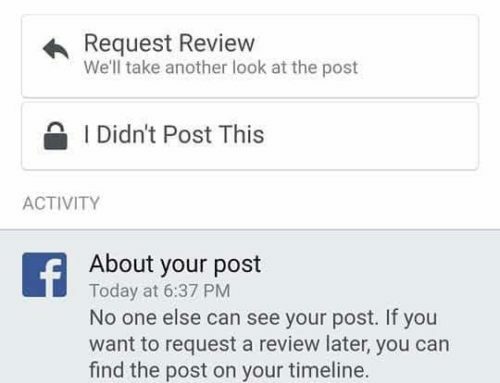 The only way for Facebook to prove otherwise is by showing proof it is wrong. 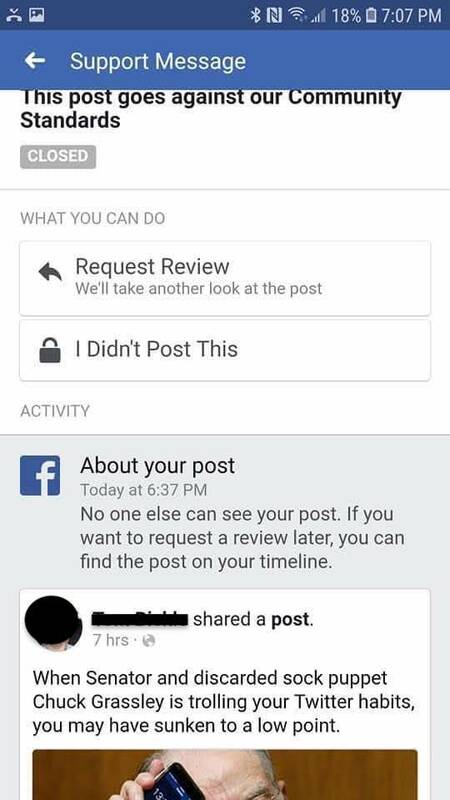 Show me receipts Facebook with real transparency, if not then that is just more evidence that what I am saying is accurate.